Tear your way through the very bowels of hell as acclaimed FPS Doom arrives on PlayStation VR. 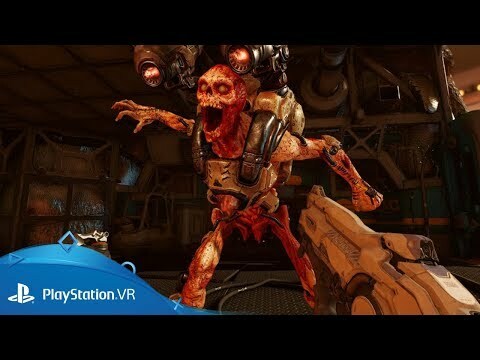 Blast your way through the nightmarish hellscapes of legendary FPS Doom in virtual reality with PlayStation VR. Immerse youself in the fast-paced, blood-soaked action of id Software's legendary Doom universe like never before, exploring all-new UAC Martian research facility areas and discovering new abilities of a cybernetic UAC security operative. Physically interact with the DOOM universe as you seamlessly traverse across the UAC facility and Hell using teleportation and jet-strafe movement while laying waste to horrific demons along the way. Rip and tear, until its done. Fish the waters of Final Fantasy XV's Eos in Monster of the Deep on PlayStation VR.